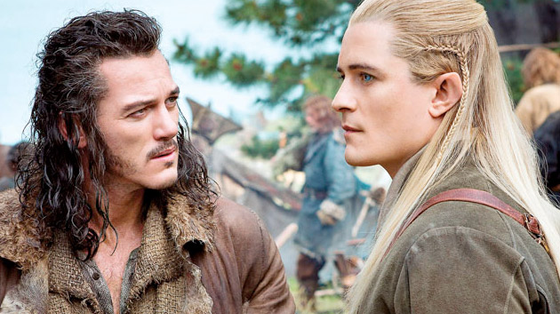 The Hobbit: The Desolation of Smaug is keeping pace with An Unexpected Journey. The second entry in The Hobbit trilogy collected $98.3 million from 15,800 screens in 62 overseas markets this weekend, an 18% drop from the previous weekend. Smaug has now grossed $423.8 million overseas and $614.1 million worldwide. The Desolation of Smaug earned $12.8 million in Australia after a strong Boxing Day premiere. 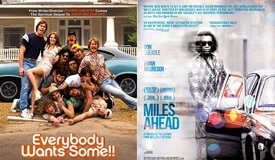 The film finished the weekend in first place with a 51% marketshare among the top 5 releases in Australia. Smaug jumped 8% in Germany to take $15.8 million from 1,460 screens. The strong showing in Germany boosted the film's market total up to $61.3 million, making it the biggest release of 2013 in Germany. The film is also the top grosser of 2013 in Sweden with $14.3 million. Other top performers for The Desolation of Smaug include the United Kingdom ($9M Weekend, $48M Cume), France ($8.8M Weekend, $38.4M Cume), and Russia ($6.1M Weekend, $28.9M Cume). The film will be released in China on February 21, 2014 and Japan on Febraury 28, 2014. Anchorman 2 posted a strong hold overseas, dropping only 21% in its second weekend for an $8 million take. The comedy sequel has now grossed $25.4 million overseas, five times the amount of its predecessor. The United Kingdom accounts for over half of this weekend's tally with $4.4 million from 458 cinemas, an 8% dip from its debut frame. Anchorman 2 is on the cusp of hitting the $15 million mark in the U.K. with a $14.4 million cume. Australia dropped 35% from its opening weekend for a $3 million tally from 250 cinemas. The comedy has earned a total of $9.5 million in Australia. New Zealand took $352k from 63 locations to reach a $975k cume. Sweden added $140k from 64 locations to reach a $422k total. 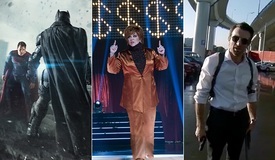 Anchorman 2 has earned $25.4 million overseas and $110.9 million worldwide. The Secret Life of Walter Mitty opened overseas with $27.2 million from 4,775 screens in 39 markets. The film collected $5 million from 351 screens in Italy, including previews. Other big debuts include the United Kingdom ($3.8M from 650 screens), Australia ($3.1M from 326 screens), Spain ($3.1M from 374 screens), Mexico ($2.5M from 1,1013 screens), Brazil ($2.2M from 407 screens), and Hong Kong ($1.2M from 81 screens). The Secret Life of Walter Mitty expands to 22 more markets next weekend, including Argentina, France, Germany, Netherlands, Russia, and South Korea. Mitty has grossed a total of $52.8 million worldwide. 47 Ronin continued to struggle to put up a fight around the world. The Keanu Reeves action flick failed to put up big numbers in its U.K. debut with a fifth place, $2.3 million opening at 275 dates. The film opened in sixth place in Spain with a $1.9 million take from 273 dates. The troubled Universal release hit first place in several smaller territories (Bulgaria, Cyrus, Egypt, Lebanon, and the United Arab Emirates) and posted positive bows in Taiwan ($1.6M) and Thailand ($1.1M). 47 Ronin has grossed $22.3 million overseas and $42.9 million worldwide. Frozen collected $50.5 million in its fifth weekend overseas, reaching a $243.5 million cume outside of North America. The animated film is on the verge of hitting $500 million globally with a $491.8 million worldwide total. Frozen is currently in release in 43 territories. 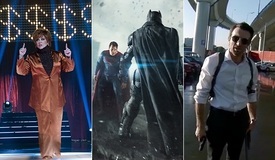 The top overseas markets for the film include the United Kingdom ($38.8M), Germany ($34.5m), and France ($30.7M). Frozen took $5.2 million from its weekend debut in Australia, reaching a $6.8 million total including previews. It is the third biggest opening for a Disney/Pixar release in the territory behind Finding Nemo and Toy Story 3. The film hit $24 million in Russia to become the highest grossing Disney/Pixar animated release in the country's history. 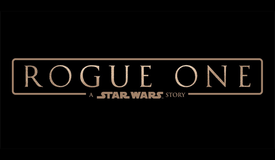 The film is expected to become the most successful Disney Animation Studios release of all time in the United Kingdom before New Year's Eve. Next weekend will see openings in Brazil, Argentina, Paraguar, Chile, Ecuador, and Colombia for Frozen. The film will be released in Japan on March 15, 2014. About Time has now grossed more in South Korea than in North America. The romantic comedy has been a surprise hit in South Korea with an $18.9 million cume after 17 days in release. About Time is the top non-Korean film currently in the market, outgrossing The Hobbit: The Desolation of Smaug. About Time has grossed a total of $64.9 million overseas and $80.2 million worldwide. Walking with Dinosaurs disappointed in its overseas roll-out this weekend but was able to boost its total outside of North America by $12.3 million this weekend. 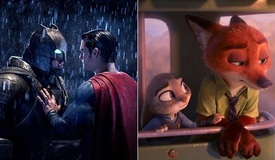 Top markets for the animated film include the United Kingdom ($1.5m Weekend, $4.2M Cume), Japan ($715k Weekend, $3.9M Cume), and South Korea ($779k Weekend, $3.2M Cume). Walking with Dinosaurs has earned a total of $54.1 million worldwide. Thor: The Dark World reached $427 million overseas and $629.3 million globally.